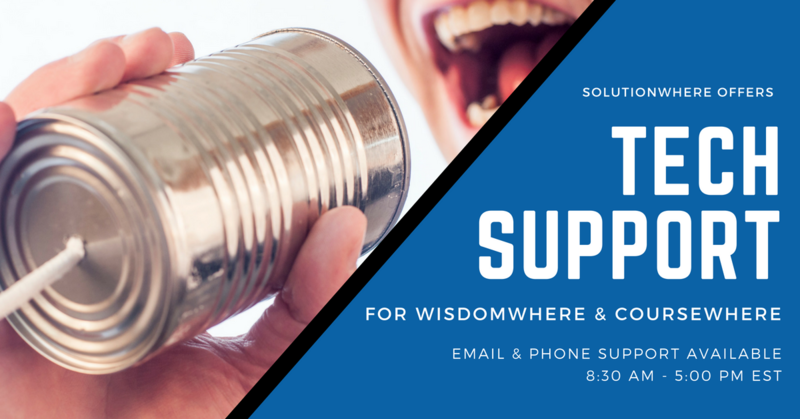 Solutionwhere provides user support from 8:30 a.m. to 5:00 p.m. EST Monday through Friday. Solutionwhere provides software training for Wisdomwhere and Coursewhere as part of the setup process. Initial training includes three 60 minute webinars. Of course, we're always happy to assist with any questions you may have.